With the help of "congressionally approved research funding" of $3.6 million, a nanotechnology materials company (I am assuming nano-composites) is setting up shop in Dayton, Ohio. 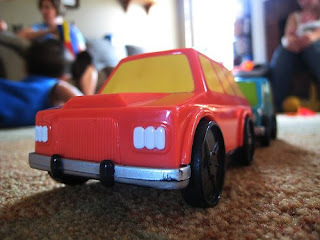 Composites and plastics play a large role in each automobile. In fact, the American Chemistry Council (ACC) estimates that each automobile contains $2,200 dollars worth of chemistry. (ie composite resins, plastics, adhesives, rubber hoses, coatings, etc.) With the "Big 3" reporting 2008 demand dropped by 3 million vehicles, my calculations say that $6.6 BILLION less dollars of chemical based auto components were used in '08... Thats nothing to shake a stick at. But, with darkness comes the hope of light. The demand for fuel efficiency only increasing, there is hope that more and more composite materials, plastics, and other lightweight chemical based products will replace steel and metal components in the future. And then there is hope, that the economny will turn around. The list of benefits for offshore wind farms is growing. The more consistent wind, and open space is a lure for energy developers. 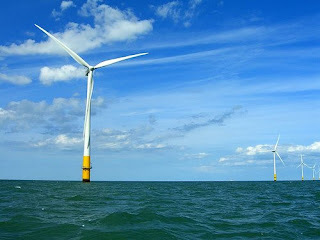 However, the cost to install turbines out at sea needs to be lower in order to speed up the adaption and development. Current offshore wind turbines are located in areas where the ocean depth is relatively shallow, such that the towers can be affixed to the sea floor. With such turbines, the tower foundation size, weight, and complexity, will be directly proportional to the weight of the tower, turbine, and blades. The heavier the tower, turbine, and blades are, the larger and more expensive a foundation is needed. This is where composites could be used. On another note, recently a floating offshore turbine has been deployed, more information here. An entrepreneur/engineer out of the UK has released the first version of a new efficient car. 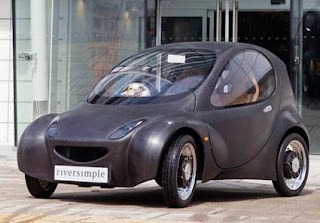 Above is the Riversimple Urban Car, it is part Smart Car, part Bat-Mobile, and it claims to get 300 miles per gallon of hydrogen. The man behind this car, Hugo Spowers, has raised 5 million British pounds thus far, and is looking to raise another 20 million to build ten additional prototypes. The body, which is "lightweight composites" is likely carbon fiber, and I imagine it saves a good deal of weight. A common goal for manufacturers of composites is to create and sell products that have the highest dollar per pound ratio possible. The higher the dollar per pound ratio is, the more margin the product will likely have. Lets look at some products/industry and examine their $/lb ratio. At the other end of the spectrum are aerospace composites and recreational composite products. These products, often have a proprietary design, are carbon fiber epoxy, are specialty products, and often carry a brand name. The premium received is often due to the extra weight savings, durability, and extra labor involved in the product. 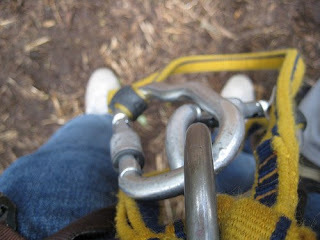 This particular carabiner here, weighs 36 grams, and sells for $23 dollars. By my calculations, this is over $300 per pound for aluminum. A lightweight composite version could absolutely command a premium over this. These are the type of products composite manufacturers are beginning to look at, niche markets with opportunity. GE recently announced that they are creating a 5 million Euro carbon composite material research center at Technical University of Munich. 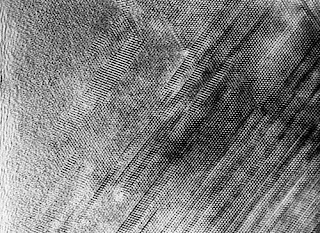 With this type of global dedication to composite material research, GE will no doubt stay on the leading edge of new processes and materials that can be applied to wind, aerospace, and the oil & gas industry. 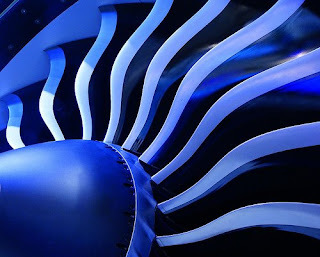 Above is a video discussing composite fan blades manufactured by GE. Watch the video above, although the soundtrack is rather odd, it sure does paint a picture of what the troops are experiencing in Iraq and Afghanistan. Between body armor and vehicle armor, there is an undisputed need to protect the soldiers from explosions. As mentioned before, composite armor is playing an important role in force protection. The goal of composite armor is to have the most protection, lightest weight, yet still be affordable. New materials and a combination of materials are constantly lowering the weight of armor while increasing the protection. Here is an interesting clip showing the manufacturing of a fuselage section of Boeing's 787 Dreamliner. Much like filament winding, this tape laying machine is tightly wrapping carbon fiber prepreg around an extremely large mandrel. This mandrel is on a track, and is rolled into a massive autoclave where the carbon fiber is consolidated under heat and pressure. In the clip you will notice they only show fiber being layed around the circumference of the fuselage, this provides the the incredible hoop-strength needed. It is my guess that that tape laying head can also rotate 90 degrees to lay prepreg tape along the length of the plane. (Someone correct me if I am wrong). Ironically, Boeing recently announced there are structural problems with their fuselage that will cause yet another delay while engineers reinforce these sections. You can read that announcement here. Not all composite materials are equal when it comes to emissions; different resins have different properties when it comes to VOCs. Additionally, the intensity of emissions varies from process to process, such that wet lay-up, pultrusion, compression molding, autoclave, etc, all have different environmental impacts. One of the most common resins used in thermoset composites today, is vinyl ester resin. This resin has been long proven, is inexpensive, has excellent corrosion and chemical resistance, and is easy to work with. (long pot life, good vescosity, good shelf life). Unfortunatly, this resin has a moderate Volitile Organic Compound (VOC) content, as the resin is dispersed with a monomer, (most often styerne.) 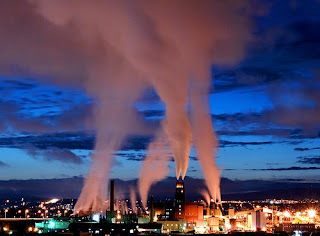 Styrene is known to have health effects, and in large quantities can harm air quality. In fact, the US EPA has described styrene as "a suspected carcinogen" and "a suspected toxin to the gastrointestinal, kidney, and respiratory systems, among others." By switching to low or no VOC resins such as certain epoxies and polyurethanes, the health risks can be avoided. Although costs are often higher, and often the resins are not yet adapted to the manufacturing process. Additionally, the increased use of thermoplastic resins are also helping reduce volitile emmisions. As well, the various manufacturing processes of composites variy the intensity of emissions. Wet or hand lay-up, where a laminate is cured open to the air, is far worse then a closed mold oporation. I am curious how the EPA takes this into consideration? Recently, the EPA fined a Minnosta composites company, Conett Inc. (formally Geotek Inc.) $151,000 for violating "national emission standards for hazardous air pollutants by failing to reduce organic hazardous air pollutants from its pultrusion operations." The compliant can be read here. As a compairson, here are two other EPA fines from 2003 and 2004, for the use of Styrene in hot tub manufacturing. Do jet engines use composite materials? Ironically, on the same day, the two largest jet engine / gas turbine manufacturers announced plans to partner with universities to develop and integrate the use of composite materials into their engines. GE announced a partnership with the University of Southern Mississippi to develop composites for use in the GEnx engine, which will power Boeing's new 787 and 747-8. The partnership is receiving funding from a $2.4 million state grant. It also appears GE is adding $2.5 million to the funding. This is by no means underfunded tinkering, so it will be interesting to see their developments. Meanwhile, Pratt & Whitney announced an expanded partnership with Virginia Tech to design and develop components made of composites for their "advanced gas turbine engine propulsion." I'd be curious as to what parts of these engines they are looking to integrate ate composites into, and why.